Anywhoozers, these beasts (my binders) are hard to handle because they are so full, so when i found this pattern for a cover with handles, i jumped on it. 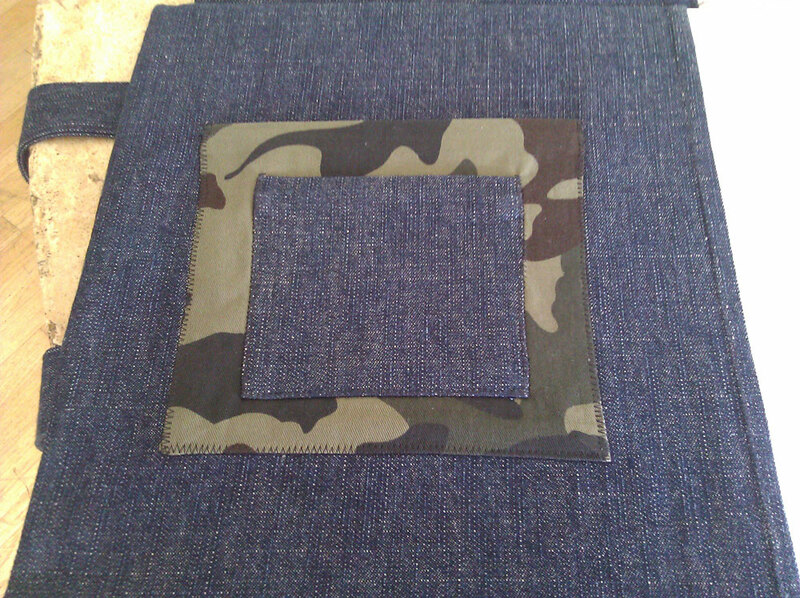 Its also got two inside pockets which would also be a great place for embroidery. I did make one obvious change to the pattern–the handles originally were set insde a quarter inch seam with some topstitching over it–and i’m sure that would be nice for a small binder. But i wanted something that wasn’t going to rip out after one or two trips, so i reinforced them on the outside. I also placed the flaps on the wrong side–although that was my mistake. And i had to adjust the spine width after i first completed it because it was too big. This pattern is also created for a centrally located ring system–and as mine is offset, i had to make some adjustments there. Other than these little adjustments, its a great pattern. 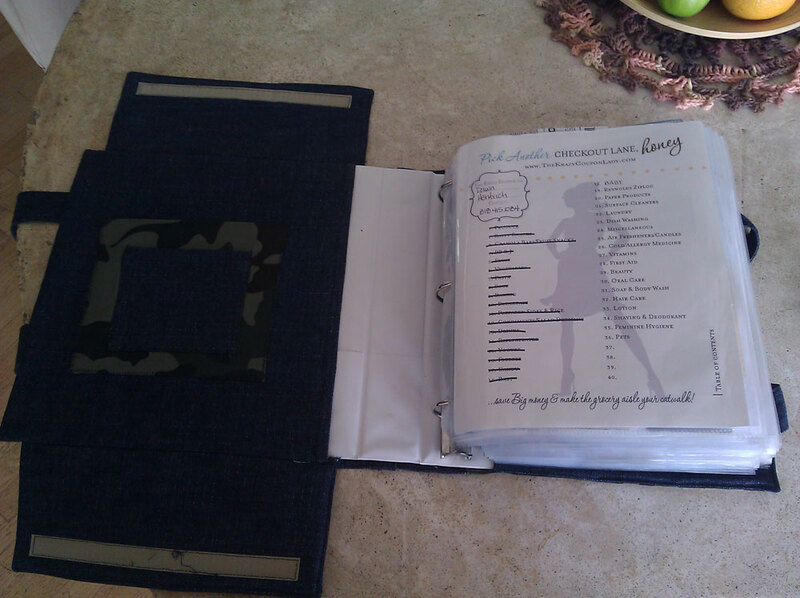 I now need to make another one for the OTHER binder we have–this is just the non-grocery coupons. We’re not “Extreme” like some, but we do enjoy the free fruits of our labors. 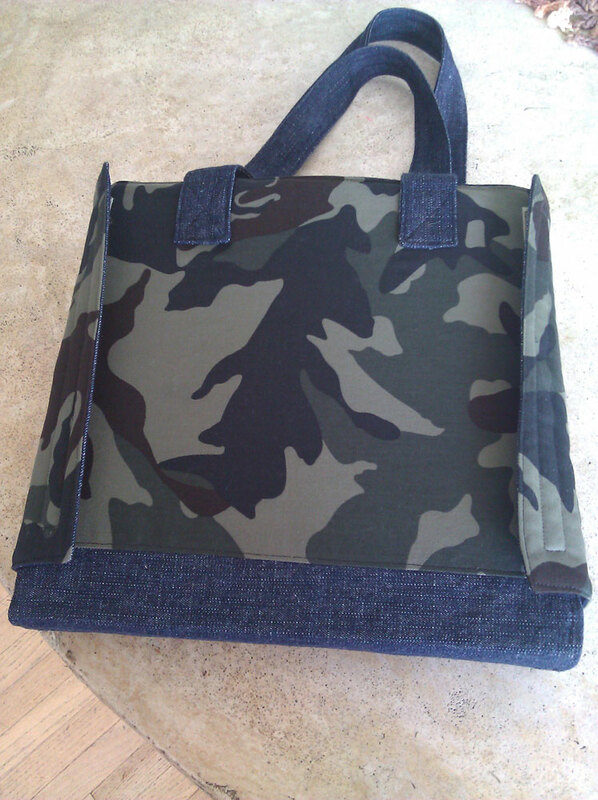 What a great way to use old denim jeans!! I like the flaps that lock everything in. I could probably use it for my “family history stuff” (has lots of little papers). 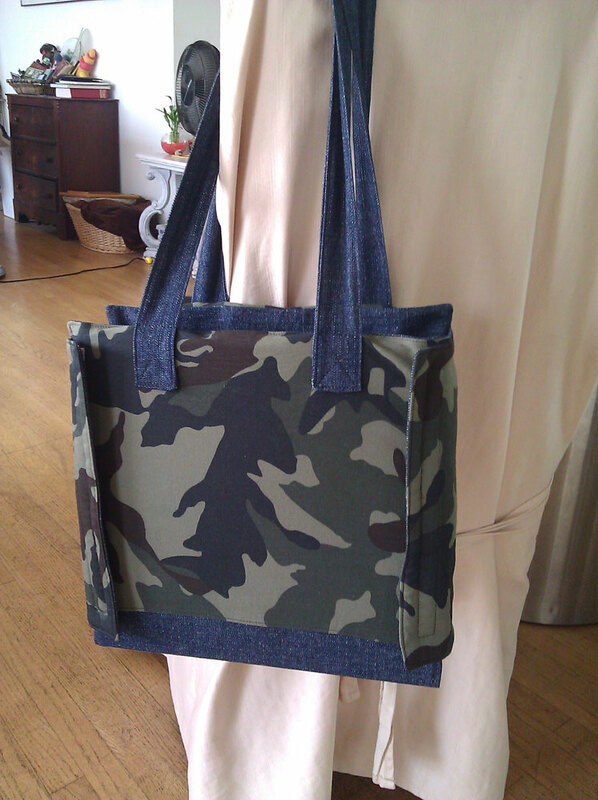 The handles look long enough that the binder could be carried over the shoulder. Great job!! yeah, its a great system! I loved the idea of the flaps, which is why i got the pattern. When i printed it, i accidentally printed 2–so i’ll bring one down to you. And yes–the shoulder straps are long enough–but of course you could adjust them to whatever length you wanted.